Our sparkling Easter fairy is ready to decorate her beautiful eggs for you! This magical ecard is a bright and festive way to send your Easter wishes soaring directly to your friends and family. A basket full of plain eggs begins to change right away, as a tiny crack appears. Pretty soon, a sprightly fairy is born! She sets to work right away making these ordinary eggs colorfully extraordinary! 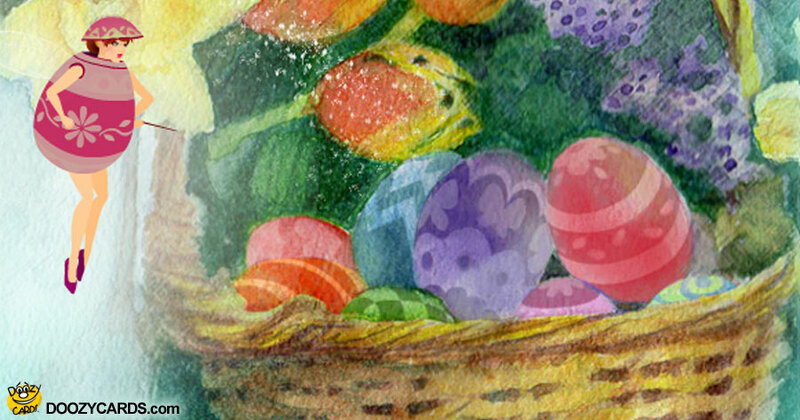 The delicate tune from this Happy Easter ecard is a fitting accompaniment to her enchanting work. This adorable ecard is sure to delight children and adults alike. So put a smile on someone's face this Easter with this sweet animated Easter card!